Be right back...packing our bags! If you’re looking to escape the in-laws or crazy cousins, why not experience a Thanksgiving getaway in the west. 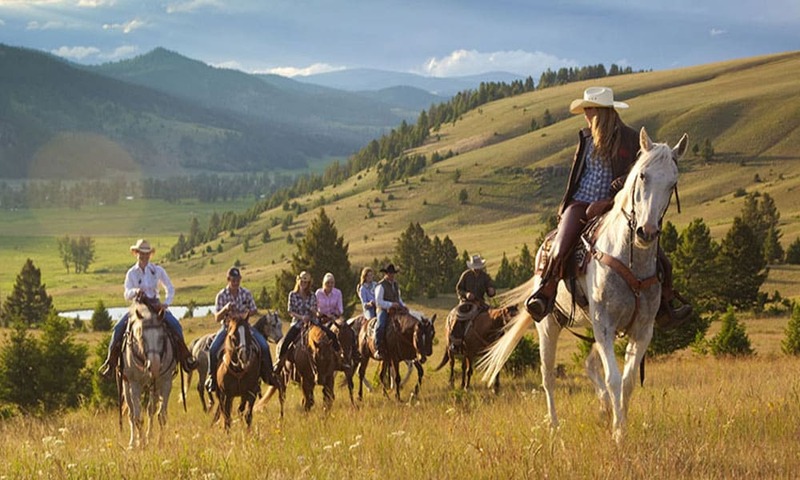 The Ranch at Rock Creek, located in Montana, offers a special celebration filled with good ol’ American traditions, but mixed with the great outdoors. A true Thanksgiving to remember should be spent aboard a horse and in luxury accommodations. The Ranch has prepared a special feast that will include your favorites. But before the dinner, guests can enjoy watching the Macy’s parade and football. A Turkey Trek is an option for those looking to stretch their legs. Horse sleigh rides and a barn dance is featured on Friday. If you’re like me, your highlight will be taking a trail ride on one of the 75 horses living at the Ranch. With open land and a diverse trail system, it will surely be a memorable experience. Take a moment to look through the pictures of this spectacular destination.